Constructing Equality: Part two – Why shouldn't women choose construction 5 reasons across the career path. Part two – Why shouldn't women choose construction 5 reasons across the career path. 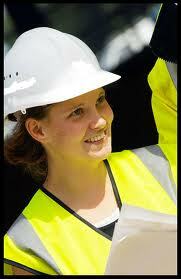 · Why should women choose construction? · Why shouldn’t women choose construction? · Why are men hostile about women being in construction? · If the industry is so hostile to the idea of women being in construction, why would / should women choose it? · If men don’t even like the construction industry, why would women? · What do women have to gain by going into the construction industry instead of another industry that is already accommodating to her needs? · What are the risks and what are the potential gains? The blog inspired a lot of comments via twitter, email and the comment section below and we would encourage even more for this one, as we feel it’s a tricky subject. Firstly if you have a passion, interest or aptitude in an area I would always encourage you to explore it (within reason) and that’s true of construction. I am a massive fan of the industry for all the reasons stated in the last blog and more. If I had my time again I would still make the same career choices. That being said there is evidence that the experience of many (though, of course, not all) women working in the sector is not quite what they had expected and whilst the scenarios discussed below are not faced by all women, and are not necessarily reasons to avoid the sector, it is always best to know what you might be getting yourself into. I do think that for every problem there is a solution so I have tried to provide some examples of how to overcome these challenges where possible. It should be noted that different sectors of the industry face different challenges and so I am going to try and highlight if you are likely to experience this under “trade”, “site management”, “consultant” for ease. Trade - Many women working in the trades have reported that they have faced challenges when applying for roles many having been asked to interview and then subjected to unacceptable comments. Solution - Companies that work for the public sector are subject to different legal requirements and therefore are far more likely to provide a positive experience, so apprenticeships with councils and housing associations should always be high on your list. Also, look out for employers using positive action to publicise roles (this is where they have comments like “women are encouraged to apply”); these are companies that are actively looking to diversify their workforce and therefore likely to be professional and positive about employing you. Site Management – There can be a tendency of men who have never worked with women outside of a traditional occupation to become paternal and try and protect the woman from what they perceive as things that might be harmful. These often include things like “raucous men” “dirty sites” and “physical work”. The issue here is that although the intention is good the outcome is not favourable for women looking to progress in their careers. Women who are protected from these things often miss out on valuable opportunities that mean their careers slip behind those of their male colleagues. The fact that construction work is project based means that this often happens every time you work with a new team, therefore having a serious effect on your career. Solution - When placed on a new site take your site/project manager aside and talk to him about what you expect from the job, be plain about the scope of your role and your ambitions and encourage them to feel ok about asking questions regarding how you personally feel about working in a site environment. Whilst the majority of women working on site know and enjoy the site environment, we should never forget our managers sometimes aren’t aware of that and whilst their actions to protect us can be damaging and discriminatory they come from a good place; which means it only takes a little education to avoid this becoming an issue. Please note this is not to imply this behaviour is ok, only that it exists and can be easily changed if the individual is genuinely looking after what they perceive to be your best interests. Consultant When we look to improve ourselves we usually look up and find a role model to imitate, this can be difficult in the construction sector if you are looking for a woman up there as there is a bit of a gap. That’s not to say such women don’t exist, just that it can be tricky to find them if you don’t know where to look. This can be a problem for some who feel they need to see someone like them in the role they aspire to in order to achieve. Solution – Find someone, really do. Read the trade papers and scour LinkedIn until you find someone in a position you aspire to who reflects your values and, if important to you, your gender. When you’ve found them, write to them, with consideration, and ask them to mentor you. Outline what you feel it will entail e.g. a meeting a month and explain why you have chosen them (flattery is a persuasive line). The worst you will get is no response, if you’re lucky you might just get a direct line to the top. · Women tend to hold out till they are 100% qualified before going for a promotion, whereas men will on average apply when they are 70% there. Further to this, because women know they are qualified they will sell themselves less at interview stage and expect the qualifications to speak for themselves. · We tend to promote in our own image, so we employ people like ourselves which means in all male environments women are at a disadvantage. · Traditionally women are judged on what they have done, whilst men are judged on their potential to do. · Subconscious bias is very important in how we select for any role. Personally, I work on the basis that I might be biased and work around reducing it. This article provides a really good example of how this works. If you look up and you see a fair gender balance or a group of people saying we get there are equality issues and we are working to overcome them you should be ok. If though, you see only one gender or comments such as “diversity doesn’t matter” or “I treat everyone equally” you might have cause for concern. Solution – Read up a bit on subconscious bias; understand what it is you might be up against and work around it by challenging commonly held views and pulling people up if they express them – even about someone else. Also, consider your own approach to promotion; do you put yourself forward enough? Try and network as much as you can and tell people about how well your projects are going so when promotions come up you’re in people’s minds. All - Yep I said it, apparently women have babies and sometimes it makes people reluctant to carry on employing them. Sounds a bit old fashioned, but unfortunately it’s still common in our experience. Returning to work, maternity leave, long hours and confidence are all part of the mix which makes this a troublesome area. Read this article to get a better idea of some people’s experiences. Solution – It’s a difficult one and will depend upon your employer so you need to test the water; you are of course protected by the Equality Act 2010 but we know this has, at times, just made employers more paranoid. Try to talk to your employer, stay in touch whilst you’re away and get support from other women in your position. You can also put together a business case for a good maternity policy, which would include how it would help retain staff (really), inspire loyalty and pave the way for the new paternity laws. Obviously we have only outlined some of the experiences women have had in industry, if you have had an experience you would like to mention, or if you disagree with the points we have raised, please comment below or email us if you would prefer confidence. Interesting blog. I think one point to mention is that establishing credibility can sometimes be more challenging and necessary for women on site, than for men. To do this we should make an extra effort to prepare for our meetings, ask smart questions and speak up in meetings. We also need to have the self confidence to stand our ground when challenged. I find once you've set your standards and shown that you won't be easily intimidated, people will respect you for it! This doesn't mean we need to be harsh or rude, just confident.